With Senate Bill 2297 in question, will NDSU be getting new buildings? Dunbar Hall has been waiting many years for its reconstruction. 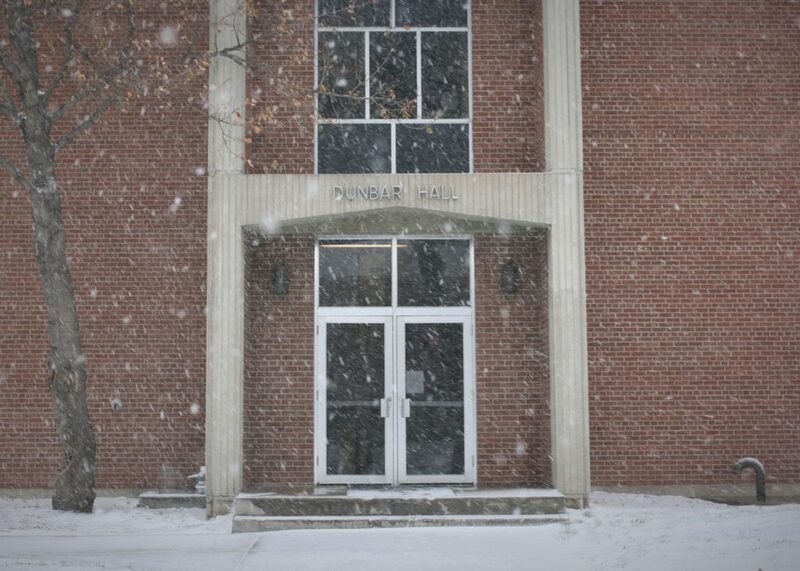 With the future of Dunbar Hall, Harris Hall and potentially the future of North Dakota State research in the balance, Senate Bill 2297 carries some weight for the NDSU community. Mason Rademacher, executive commissioner of External Affairs for NDSU Student Government, said the bill is an opportunity to receive full funding for the recreation of Dunbar Hall and Harris Hall on NDSU’s campus. Why should NDSU rebuild these buildings instead of renovating them? According to Grindberg, in the event of a fire, “The fire marshal has joked to let it burn.” At this point, the storage of chemicals has been steadily deteriorating for the past few years. Both parties agreed the renovation or rebuilding of Dunbar Hall and Harris Hall has been talked about for the past few legislative sessions, and at this point it’s so bad that those who have seen or visited Dunbar Hall have finally pushed the deteriorating building to the top of their agenda. The state appropriated dollars to either building would allocate $54 million for the construction of Harris Hall and $ 51 million for the construction of Dunbar Hall. Originally, Gov. Doug Burgum called for only 50 percent of the funding for either building be state allocated. However, upon further inspection, it became apparent that NDSU couldn’t privately fundraise $25 million. Additionally, after seeing the state of Dunbar Hall, senators became willing to provide full funding, according to Rademacher. The plan to rebuild would take place in the spring or summer of 2020 at the earliest, though it is more likely that it would happen after 2021. Construction of the new Dunbar Hall would take place in the parking lot directly next to the current Dunbar Hall, taking the place of the parking lot between the Quentin Burdick Building and the Memorial Union. The construction would happen as such so that once builders got close to completing construction, they could take the more expensive parts of the research facility from the old Dunbar Hall and place them into the new building in order to save some money. The bill is expected to pass in the Senate, and then it will move onto the House. While this bill has been on the docket for a while and legislatures who have seen the building agree it needs to be redone, it is expected to get passed.